EPCOT stands for Experimental Prototype Community of Tomorrow but is also colloquially known as 'Every Person comes out Tired'. The famous EPCOT symbol resembles a giant ‘golf ball’ and houses the ride ‘Spaceship Earth’. It is actually a geodesic sphere and the shape is designed to catch all the rain water run-off and siphon it into the World Showcase Lagoon! This week I am reviewing EPCOT rides and attractions. There are a number of rides and eleven world pavilions to explore in EPCOT. The World Pavilions and the Spring Epcot floral displays and attractions will be covered in an upcoming blog post. It has been said that this is a great park to go to if it rains. I would have to agree, although getting from one world pavilion to another, or one ride from another, can be quite a distance to cover – and is unsheltered. But the rides themselves and the World pavilions are all covered and you can happily spend a couple of hours exploring each pavilion whilst avoiding a thunderstorm. We spent two days at EPCOT. Day one we spent mostly on the rides, the butterfly garden, looking at the floral displays and looking at the merchandise shop (which is huge). Day 2 was spent at the World pavilions. Ideally we would have spent a third day looking more at the World pavilions as there was a lot to see there too. The Fastpasses are tiered for this park. The ‘must do’ rides are Frozen Ever After, Soarin' and Test Track and all are in Tier 1. You can only choose one ride in Tier 1 per day (for your initial Fastpass (FP)). We chose Soarin’ the first day and Frozen the second day for our FP. Test Track we did as a Single rider, which worked well. At EPCOT, there is an enormous 'Mouse Gear' Disney Shop. There is merchandise for sale you won’t find anywhere else in WDW. Soarin’ is one of the most popular rides at Walt Disney World. You are lifted 40 feet off the ground in front of a giant IMAX screen. Don't do this ride though if you are scared of heights. It simulates flight and its a 5 minute ride. There is normally 50-90 minute wait if you have no FP. I thought one of the waterfalls was Niagra Falls but a cast member in the Canada Pavilion said its actually Iguazu falls in South America. Very awe inspiring ride. The world is a beautiful place. Highly recommended. You begin the pre-ride designing a vehicle and checking out how your vehicle responds to heat, cold, sharp turns etc. Use the single rider line to avoid the long standby queue - but you won’t be able to sit together. The ride is very fast, but flat (no drops or dips). As the area is completely enclosed where you ride the cars, you cannot see what the ride is like beforehand so you kind of take a leap of faith in what the ride is like. I found the outdoor cars ride in Californian Adventure Park (Radiator Springs Racers) a better ride – it was more scenic and more outdoors for the racing section. Check out the Post ride area though as there are lots of cars and computer simulations to try (this is not available in Californian Adventure Park). Inside the Mexico pavilion there is a 7 minute dark boat ride, which is a lot like ‘It’s a Small World’, but with fireworks on the ceiling. There are absolutely no drops and it is a nice boat ride for all ages. The entrance is rather hidden. It is located at the back of the pavilion on the left hand side. The queue was very short too – like less than 15 minutes. The whole pavilion for Mexico is very dark and with the atmosphere of a night marketplace in Mexico. You board Clamobiles (like doom buggies) and travel through a coral reef looking for Nemo which is a nice ride. The ride finishes and you can then view large aquariums that are home to Sharks, Tropical and Cold water Fish, Sea horses, Eels, Puffer fish and more. This area also holds Turtle Talk with Crush which is a 3D interactive experience in a group. Kids love it. It is also air-conditioned and somewhere for adults to sit down with seats and rest. There is also an area that houses two sea manatees – both rescued from the wild and I would definitely recommend the keeper talk as it is very interesting on how these huge creatures ended up at Walt Disney World. We had a FP for this ride, but the lines do get shorter after 4pm. Not to be missed. It is a 16 minute omnimover car ride that curls towards the top of the 17 story ‘golf ball’. The ride is an educational one in that it traces development in human communication from cave drawings to computers. It is narrated by Dame Judi Dench. The top of the ride is a planetarium experience with lots of stars. At the end of the ride you have the opportunity to make a video (on the way back down) – that you can send to your email account. Make sure you smile and look up at the beginning of the ride as its then when the picture of you is taken. That picture is used for the ‘very entertaining’ video that you watch whilst still on the ride. You can see your own future complete with your own face. The ride stops every so often to allow the boarding of mobility impaired passengers. There is a large area post ride with some fun interactive games –which are also undercover. My daughter A.J’s favourite was an interactive 3D bodybuilder – where you built a body from scratch, and the ‘body’ actively interacts with you to let you know which bits you got right (and wrong!). Another ride was 'Spy Car' where you had to solve various puzzles in a car. A 13.5 minute ride past scenes of giant vegetables, aquaculture and permaculture etc. We had a FP for this ride, but we probably didn’t need it (it was a 30 minute standby line wait). I thought it was interesting the way they were growing the enormous sized vegetables –using espaliers, no soil etc. – the rest of the family though thought this ride was rather boring. There is a great food court outside this ride that has a lot of healthy food options at cheap prices. Free Coca Cola sample tasting at the International tasting station. You get to taste soft drinks from around the world. Beverley (Italy) is the worst tasting and is very bitter indeed (you have been warned!). Journey into Imagination with Figment (Purple Dragon) – Is a 6 minute ride that we had a FP for. It is extremely colourful and kids will love it. It also has a good positive message to kids - for kids to use their imagination. At the end of the ride there is a large area for kids to play in and test their imagination. We did not do this ride. This ride is unique in Walt Disney World as its equipped with Motion sickness bags (which may indicate that this ride might make you sick!). One family I spoke to said their husband really wanted to do the ride and took the whole family along. She said she and her daughter were fine after the ride, but that her husband was physically sick for hours afterwards. She also said that you fly the spacecraft to Mars and it is incredibly cramped inside the capsule, and for an awful couple of moments she thought that they would have to fly back to Earth, but she was relieved to find that the ride is only one way to Mars. Simulated Space adventure from the excitement of lift off to the wonder of flight. 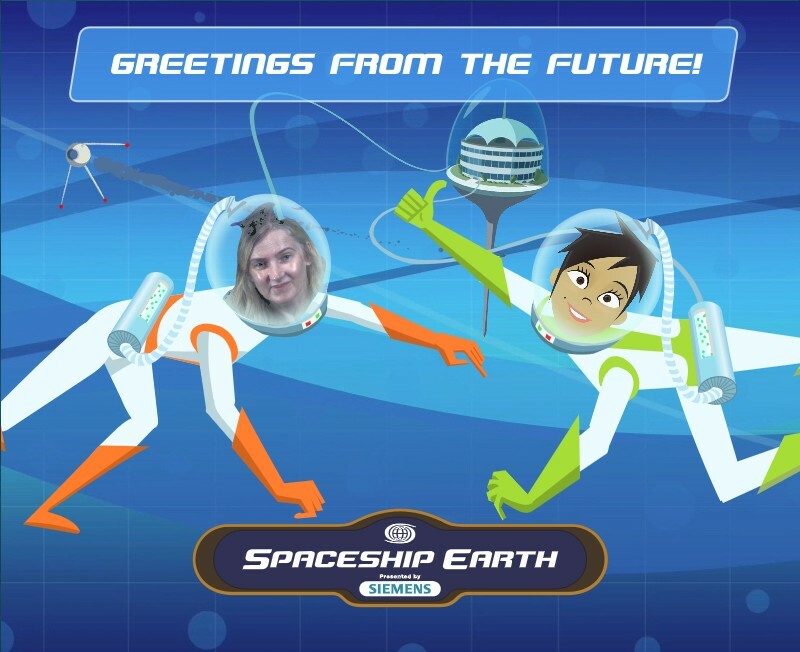 Disney Imagineeers worked with 25 space experts from NASA. You are grouped into teams of 4, each person given a crew position - Commander, Navigator, Pilot, Engineer and assigned tasks that go along with that role. There is a spinning and non-spinning ride (Green). G forces are not on the Green (non spinning ride). Same pre and post show - just no G forces during the lift off portion of the ride. Not all guests can tolerate the G forces. Fair amount bouncing around in capsule regardless which line you are in. Check out the advanced training lab near the exit - its got activities that are out of this world. I hope you enjoyed reading my ride reviews and tips on EPCOT. Next week I will be reviewing the World Pavilions of EPCOT - I hope you can follow us. June/July 2018: Typo.com has a lot of Disney merchandise on sale here including Snow White. It also includes a $10 voucher!! 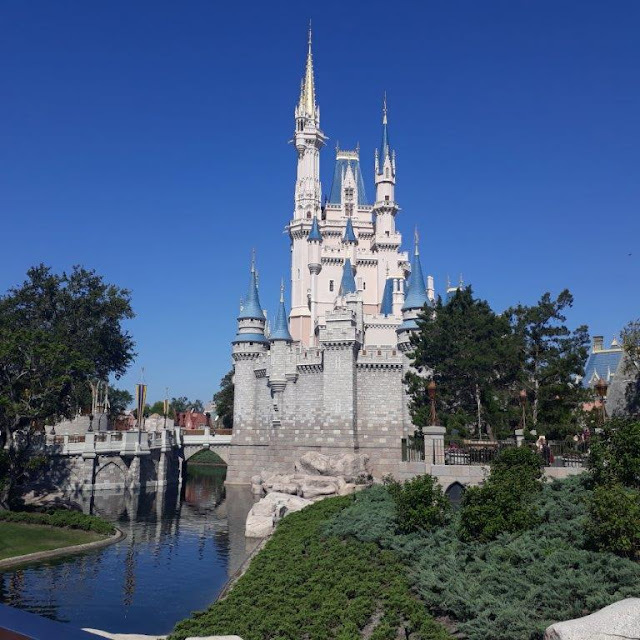 Walt Disney World - ALL MY BLOGS ARE HERE!